There is an urgent need for strategies to prevent or at least slow down the emerging burden of diabetes apart from treating diabetes and associated complications. Prevention of diabetes and its complications is the urgent need of the hour. Prevention of diabetes can be done at every stage in the natural history of diabetes resulting in four levels of diabetes prevention. Attempts to reduce the risk factors for diabetes, e.g., reducing or preventing obesity to reduce the future risk of diabetes or prevention of prediabetes stage. It targets people who are in the stage of prediabetes to prevent the onset of diabetes. All people with prediabetes should be regularly screened and encouraged to pursue a healthy lifestyle, including a healthy diet, adequate exercise and weight control in order to prevent diabetes. 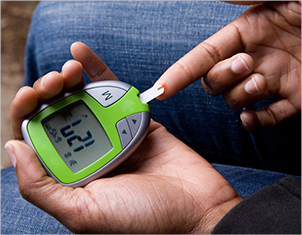 It is to prevent the onset of complications associated with diabetes in those who have already developed diabetes. This can be achieved by having a good control over the blood sugar, blood pressure and lipid levels with the help of a healthy lifestyle and taking anti-hyperglycemic drugs as indicated. Thus, primordial and primary prevention contribute most to the health of the whole population by preventing the onset of the disease and its risk factors, while secondary and tertiary prevention is focused on restoring the health of individuals with the disease. The value of healthy eating is also encouraged through increased intake of fruits and vegetables, use of right type of fat and whole grain cereals like wheat or rice or millets instead of polished or refined flour, which is very high in carbohydrate (and thus glycemic load) and also low in protein and fibre. The devastating and debilitating nature of diabetes complications makes the clinicians look for prevention strategies specific to complications. Preventive approaches to diabetes complications at our Centre can be categorized into three levels, first the early approach where early detection and appropriate treatment are the cornerstones for delaying the onset of the diabetic complications. 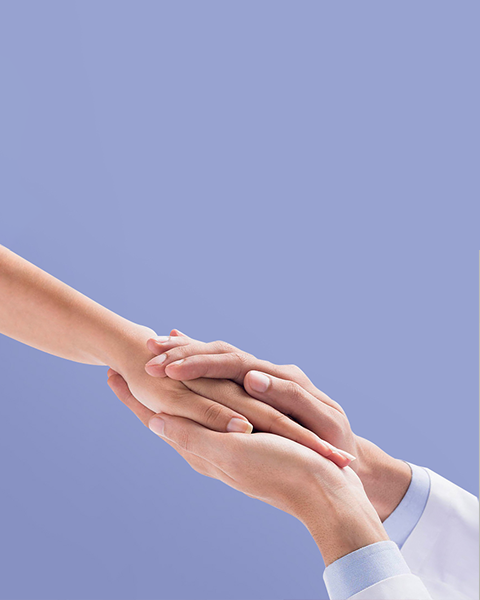 Once complications have set in, preventing progression of the same would form the second approach or the intermediate approach which is done by introducing specific drugs or intervention for combating complications. The third is the late approach where complications have reached a very critical stage and interventional procedures like surgery are done to prevent progression to end stages of the complications. Anybody even without any symptoms, but over 20 years of age can undergo a comprehensive annual health check-up. 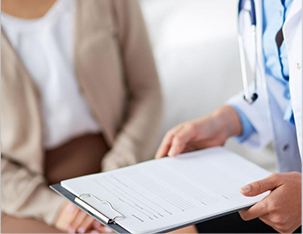 For secondary prevention of diabetes, meticulous treatment is given to all known patients with diabetes in order to prevent the dreaded complications of diabetes. 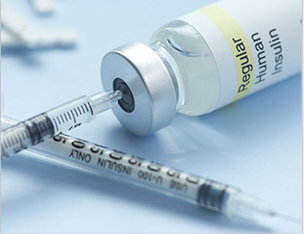 Tertiary prevention is provided to anyone who has already developed some diabetic complications. The centre accesses their health condition and offers appropriate therapy to prevent the progression of diabetes-related complications. We run an in-house magazine/newsletter called ‘Diabetes Monitor’. Diabetes Monitor is a quarterly magazine designed to educate readers through the print medium and increase awareness of diabetes. It is sent free of cost to all life members of the centre. It also provides an avenue of communication between our patients, doctors, diabetes educators and dieticians. About 10,000 copies of this magazine are circulated every quarter. The magazine is packed with information on latest updates in diabetes and recent technology, research-based news, interesting articles, undertaken and up-coming events, facts and figures on diet and exercise, quiz and cross-word puzzles. Innovative ideas and inputs from our readers help us to understand them better and constantly improve our editorial efforts. To reach out to the community, Dr.Mohan’s Diabetes Specialities Centre launches mega Diabetes exhibitions to help educate community members about all the aspects of diabetes since 1998. The show creates opportunities to interact directly with the community. Let’s Defeat Diabetes mega event was held in 2017 to create awareness about diabetes and its complications. The Principal Secretary to Tamilnadu Govt. Dr J Radhakrishnan IAS participated in the event. We released our logo for “Let’s Defeat Diabetes – we can we will” as well as a ‘Microsite’ where people can take a pledge to prevent diabetes. Visitors participate in information filled interactive sessions by leading experts in the respective fields who lecture and reply to queries and issues related to diabetes management. Lectures include recent advancements in the management of diabetes, associated complications and prevention of diabetes and are delivered both in English and in the regional language. Panel discussions are held by eminent diabetologists, and ophthalmologists and other specialists. Debates on diabetes-related topics are also held. Medical professionals are present round the clock, to answer one to one questions and counsel the general public on the do’s and don’ts of diabetes. The international seminar on “Prevention and Control of Non-Communicable Diseases (NCD)” has been organised by the MDRF and DMDSC in collaboration with the University of Alabama at Birmingham (UAB), supported by the World Health Organisation and Indian Council of Medical Research. Since the inception in 2003, over 163 researchers, 821 epidemiologists and community health specialists from India, USA and South East Asia including Sri Lanka, Bhutan, Nepal, Thailand, Maldives & Vietnam have benefited from this seminar. It aims to encourage capacity building and develop strategies for Prevention of NCD’s including diabetes and cardiovascular disease at an international level. This event brings together experts to share knowledge in building awareness and enhancing the credibility of research in the field of NCD’s. The international and national faculty includes distinguished scientists from prestigious institutions in addition to the faculty from Madras Diabetes Research Foundation.